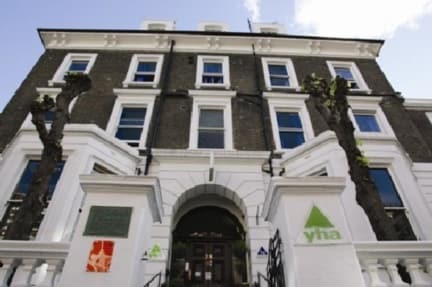 Had a lovely stay at YHA Earl's Court. Comfy and sturdy bunk beds, toilets and showers are good and clean, large lockers were available in the room. Bring your own padlock! The breakfast options were affordable and tasty and fresh. I had a room on the front of the hostel, but even with the window open I was not bothered by any extreme noise from outside. 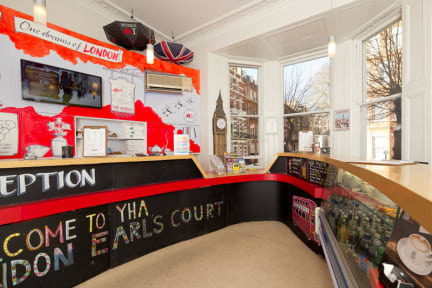 Only a 5 minute walk away from the Underground, which connects to the Picadilly and District line, absolutely perfect location. It was a good hostel and easy to stay in, so if you're looking for something simple, clean with good facilities, this is a good choice. However if you're backpacking and looking for a place to have fun and find lots of friends maybe look for a smaller, more homey hostel. It was closer to a hotel than hostel for me and even though the kitchen had great crockery provided, I was a bit disappointed that there were barely any basicals like oil, sugar, pepper, herbs, etc.